In this our Earth Day issue we are featuring e-books and books that somehow tie in to Earth Day. 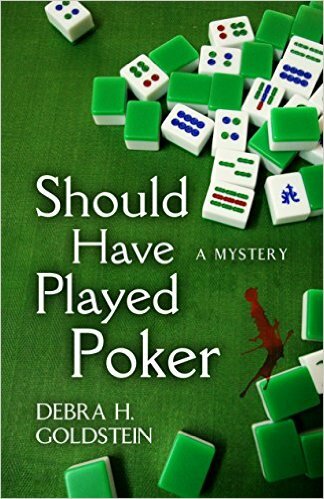 Details at the end of this post on how to enter to win a copy of Should Have Played Poker which has an environmental part to the plot, along with a link to purchase it from Amazon. The last person attorney Carrie Martin would have expected to see in her office on a Sunday morning was her mother. It had been twenty-six years since Charlotte Martin walked out on her family, and Carrie has had no contact with her mother since that heart-breaking day. Charlotte claims that she is fulfilling the promise she made to her husband; finally deliver a letter to Carrie explaining why Charlotte had to leave so long ago. Early onset Alzheimer’s had forced Carrie’s father to transition into living in Wahoo, Alabama’s Sunshine Village retirement home, but Peter Martin still maintains his same wit and integrity. And while Carrie is stunned to learn that her father had been in contact with his wife, that doesn’t compare to the shocking discovery of Charlotte’s body in a Sunshine Village room. Leading the investigation is Detective Brian McPhillip, a man Carrie once lived with and who prefers she remains on the sidelines. That’s not going to be easy, even though Carrie left the police academy for law school, she hasn’t forgotten any of her early training. Carrie does have enough on her plate to keep her occupied, as a lawsuit against her employer Carleton Industries has her wading through files and confronting opposing counsel Michael Shapiro, whose mother coincidentally also resides within Sunshine Village. After enlisting Carrie into their Mah jongg club, the women pool their collective knowledge in order to solve the mysteries of Charlotte’s initial disappearance, more than one murder, and even the machinations integral to Carrie’s legal case. The homicides and crimes being committed against the environment are nothing compared to the confusing and complex rules of Mah jongg. There are numerous plot threads being woven into this relatively short mystery, and yet all are neatly tied together by its stunning conclusion. The emotional domestic drama of Carrie’s family is matched by the compelling lawsuit that involves pollution, evidence tampering, and the Carleton family. While the investigations remain the main focus driving the novel, added elements of romance and humor only enhance this thoroughly entertaining novel. Carrie is a very sympathetic character, and despite her traumas she allows herself moments of playfulness and joy. As much a legal thriller as a family drama, readers will find much to enjoy in this new series. To enter to win a copy of Should Have Played Poker, simply email KRL at krlcontests@gmail[dot]com by replacing the [dot] with a period, and with the subject line “poker,” or comment on this article. A winner will be chosen April 23, 2016. U.S. residents only. If entering via email please include your mailing address, and if via comment please include your email address. You can use this link to purchase this book: If you have ad blocker on this link may not show up. This sounds like a very interesting read. Another new to me author. Thank for the chance. Shoulda… Woulda… Coulda! This story seems to have some interesting plot twists. Long lost relatives? Lawsuits? Interesting characters? Mah jongg? I’m in. Glad to hear it….good luck! Fantastic review! Thanks for the chance to win. I very much appreciate Cynthia’s review. Best of luck to you in the giveaway. Just another to add to my looooong TBR list!! My pleasure to join with KRL in offering a giveaway. My books are mean to be fun and what is more fun than a chance to win one? New author & series is always so exciting. But rules of mah jongg difficult? Nah. Poker is harder. Interesting to see how Carrie handles all this. With grace and wit, of course or perhaps I should say with a Royal Flush, at times. Thanks for stopping by…good luck! Debra, I’m happy you have another book coming out. I hope it is a big seller.